In addition to cigarette smoke being a combination of lethal gases, such as carbon monoxide, hydrogen cyanide, sulfur oxides and tar, it constricts blood vessels, increases blood pressure and raises the blood fat levels. Nicotine is the addictive ingredient in tobacco and is actually a poison. Nicotine causes a chemical hormone named dopamine to be released and assimilated by the body, which produces a "feel good" response. When you stop smoking, you will probably have one or more of the following withdrawal symptoms. These are signs that your body is ridding itself of nicotine and other toxins. I experienced just about all of these withdrawal symptoms. For me, the most serious was severe nausea and insomnia. Having quit cold turkey, the nausea became severe about 5 days later. I used ginger tea to soothe the nausea, but it still persisted. I visited my physician in an effort to solve my nausea problem. My doctor prescribed Promethazine. The side effects of Promethazine are dry mouth, constipation and dizziness. My doctor suggested that I begin using one of the smoking cessation aids. Since I had not smoked for 20 days, I decided to use a "non-nicotine" drug to aid in the smoking cessation, rather than the patch, gum or nicotine inhaler. Therefore, my physician prescribed bupropion (Zyban). Zyban is an anti-depressant that causes the release of dopamine and reduces interest in nicotine. My physician felt that the Zyban would possibly take the edge off of the smoking withdrawal symptoms. I began taking Zyban on a daily basis. My Zyban was in 150mg tablets and I took one in the morning and one in the afternoon (8 hours apart). I began taking Promethazine every six hours. In my case, beginning to take Zyban, while being 20 days into a cold turkey quit was a big mistake. I didn't realize it at the time, but the Zyban made my nausea and insomnia worse! I took the Zyban for 17 days, and 37 days into my quit, I decided that the smoking withdrawal distresses were most likely gone and my sickness was being caused by the Zyban side effects. I stopped both Zyban and Promethazine soon after. It took 4 days to rid my system of the Zyban and Promethazine. I used ginger tea to combat the nausea that lingered. As I began the seventh week of my quit, I was positive that my smoking cessation would be successful. With the nausea gone, I could now concentrate on the psychological urges to light up a cigarette. I must admit that when I was suffering with the nausea, smoking was the last thing on my mind. 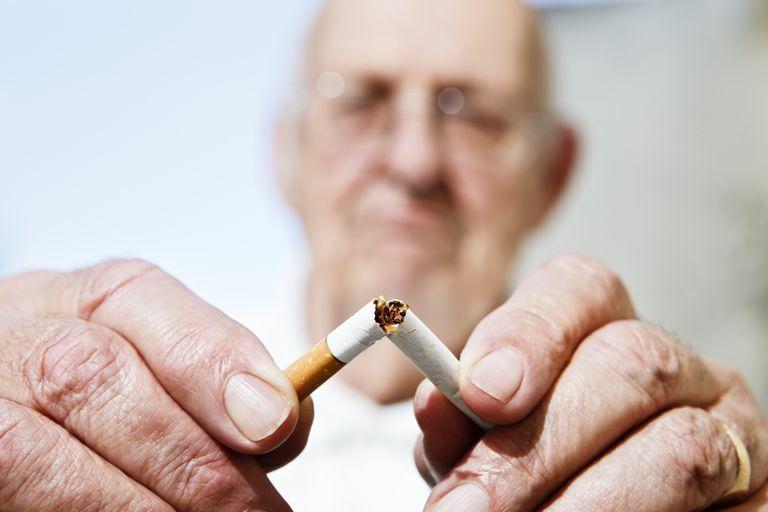 Initially, smoking urges were frequent and severe. However, I knew that the urge for a cigarette would be gone in a few minutes, whether I smoked a cigarette or not. My way of eliminating the urges was to change my activity (go outside, walk around on the deck or the garden) and this would change my thoughts. Also, I am sure that another weapon that helped to beat down the urges was that subconsciously the absolute misery I went through during the first six weeks was fresh and I knew that just one cigarette would cause failure. That was one heck of a battle I won! Larry experienced symptoms of nicotine withdrawal that were probably more intense than many new ex-smokers have, but he dealt with them well and stuck with it until he was in the clear. Larry went on to enjoy long term success with smoking cessation, so don't despair if you're struggling with nicotine withdrawal. It is a temporary phase of smoking cessation, and better days will soon follow.